|art| SPACE is a platform for exhibiting the creative efforts of the AAU community. AAU (Anglo-American University) is the oldest private university in Prague. We offer full time, study abroad and exchange programs. 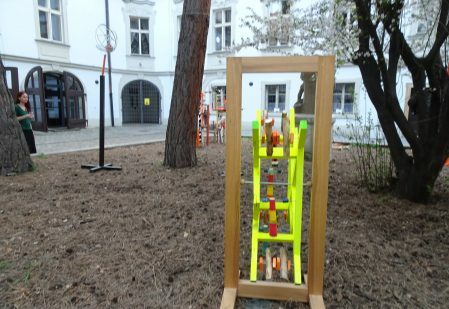 Since that time |art| SPACE has occupied its premises at Lazenska 2, Mala Strana next to the Lennon Wall. Created as a platform for exhibiting the creative efforts of the AAU community, over time |art|SPACE has developed into a space for dialogue between artists, curators and audience (both within the AAU community and beyond), rather than a white cube exhibition space.